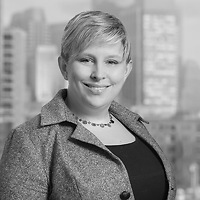 Elizabeth M. Norman, a member of Nutter’s Tax Department, will present at the Strafford live webinar "Tax Strategies for Limited Partner Investors in Private Investment Funds - Avoiding Tax Traps Through Side Letters and Other ‘Hidden’ Agreements" on April 13. The panel will discuss several major classes of private investment funds, focusing on venture capital, LBO funds, mezzanine debt, real estate funds, and “fund of fund” partnerships. Panelists will provide tax counsel and advisers with a detailed guide to the tax issues of various types of private investments funds, including private equity, venture capital, and real estate funds. The panel will discuss the tax implications of various fund structures, identify potential tax filing and payment obligations, and identify possible strategies for negotiating key fund provisions in both the fund agreement and in side letters. The webinar includes a live question and answer session with participants.